Did NBC And Donald Trump Rig Arsenio Hall’s Celebrity Apprentice Victory? Did NBC and Donald Trump rig Arsenio Hall‘s Celebrity Apprentice victory to promote a new talk show? Former talk show host, Arsenio Hall won The Celebrity Apprentice, did you see the episode? If you missed any of it, you can read our full recap HERE. Was Arsenio’s winning NBC’s Celebrity Apprentice rigged? You be the judge. Now, Arsenio is no stranger to being in the spotlight, he once had a popular self-titled talk show that helped launch the Fox network with the Simpsons. 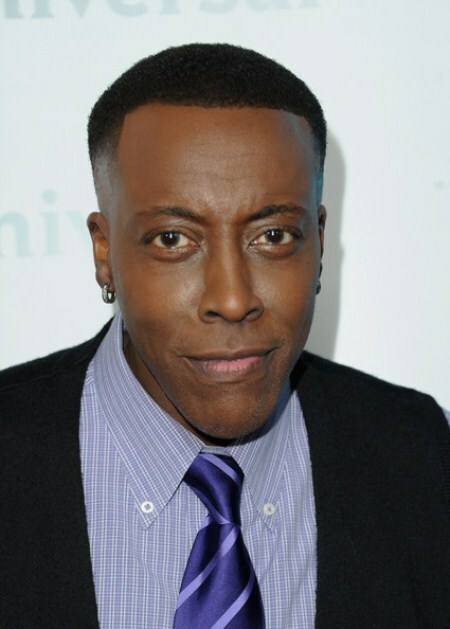 Personally, although I love Arsenio, I don’t think he deserved to win The Celebrity Apprentice. Throughout the season, Clay Aiken was a stronger player; strategically, emotionally and mentally. Arsenio resorted to name calling and tantrums in the boardroom when dealing with fellow celebrities that were difficult to get a long with, while Clay remained calm. Arsenio hid behind the radar during many of the tasks, while Clay was also up front and center whenever he could be. Now, I’ve watched all the past Celebrity Apprentice shows and I have yet to see NBC offer a winner their own show, until now. TMZ reports that NBC is offering Arsenio a talk show deal, apparentlyNBC thinks that after almost two decades since Arsenio has been “on top” that he can make it again, yeah right! I don’t know about you, but something smells a little “fishy” to me. It is no secret that Arsenio has been shopping around for quite some time to get himself back in the talk show game, I wouldn’t be surprised if NBC masterminded this whole thing to make it a “winning” situation, for NBC of course. Just think about it, if Conan O’Brien had won The Celebrity Apprentice back when he returned to late night, the ratings would most definitely have gone to “infinity and beyond” with Donald Trump’s reputation and gazillions of dollars backing him. What do you think, should Arsenio Hall have won? Or, was Clay the better player and should he have won? Sound off your comments below and let us know what you think about this whole “fishy” situation.